Spring is on the way and that means decking is on everyone’s mind! Of course, you want your deck to look great and perform well for the coming barbecue season. But which decking material will you choose? For the most part, treated lumber almost always makes up the deck’s structure—although some brands, like Trex, do make composite framing specifically for decks. When it comes to decking boards, the primary choices are between treated wood and composite decking boards. Here are the pros and cons of both to help you decide! Composite decking needs a lot less maintenance than wood, which means that even though the initial cost to purchase and install is higher, the deck will end up costing less over its lifetime since you won’t need to spend money on staining, sealing, refinishing and so on. 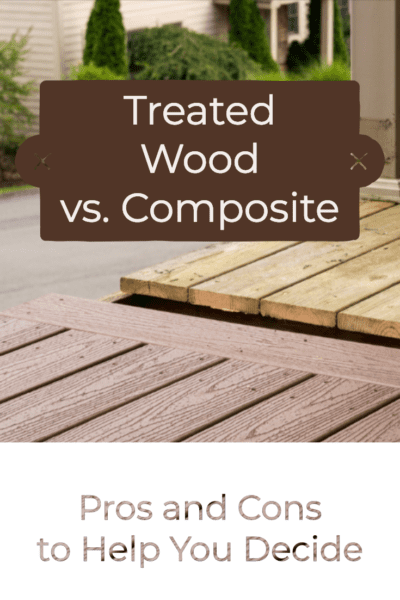 Another great benefit to composite compared to wood is that products like Trex decking boards are much more durable than treated lumber. Trex products, in particular, are stain, scratch, fade and mold resistant. These boards won’t warp or crack like wood can, and you won’t have to worry about things like splinters cropping up after years of use. Homeowners often have concerns about sustainability and eco-friendliness, and that is one reason why they often turn to composite decking. These products are often made with recycled materials. For example, the Trex Enhance and Transcend lines of decking materials are made with 95% recycled products. Most decks today are made with wood, including the decking boards that make up the surface. The reason behind this is that initially, wood decking boards cost less to purchase and install. So, if you’re looking for a less expensive way to put a surface on your deck, treated lumber might be the way to go. Just keep in mind that over the life of a wood deck, you’ll end up spending more on maintenance. The look and feel of real wood is another reason why many go with treated lumber over composite decking. While some composites beautifully replicate the look of natural wood grain, color choices are often limited. 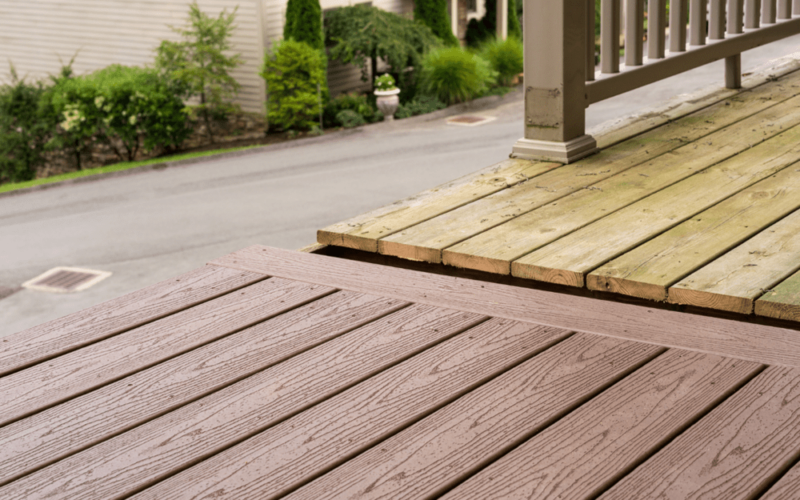 With wood, you can choose from dozens of stains to get a deck color in the exact shade you desire. While you’re trying to decide which decking material is right for you, it helps to think about several factors. How will you use the deck? For decks that don’t see a lot of traffic, wood could be the right choice, but if you do a lot of entertaining or if various activities expose the deck to a lot of moisture (poolside, for instance), then composite might be the better alternative. If you plan to sell your home soon, then ongoing maintenance is less of a concern, which means that you can safely choose treated lumber. If you don’t plan to sell your home, how will you tackle maintenance? Hiring a contractor to maintain the deck makes wood decking more manageable but will end up costing you more in the long term. In the end, the choice all comes down to your needs for the deck. Maintenance throughout the deck’s life is something you’ll need to consider, and you’ll also need to think about your budget, both now and in the future. 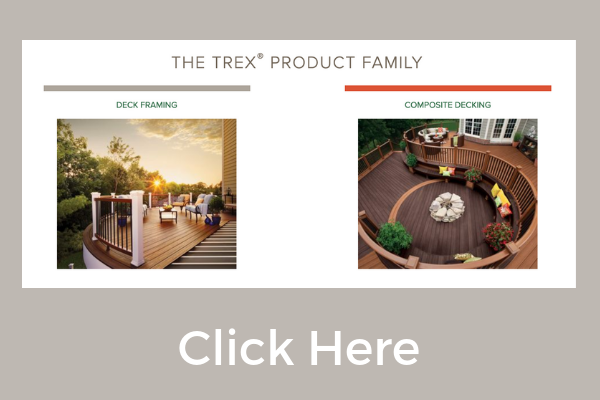 Wood decking will save you money in the short term, but composites like Trex can save on staining, sealing and maintenance throughout the years.